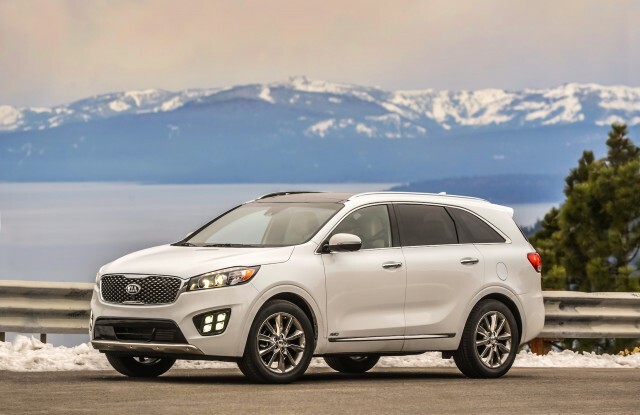 The Kia Sorento may not get a diesel version for the U.S. after all. On the eve of the Paris Motor Show and the introduction of the production-spec Kia Niro EV, company officials have confirmed that it’s shelved plans to bring any diesel model Stateside for now. The hold is officially temporary, but it's hard to see how it changes anytime soon. 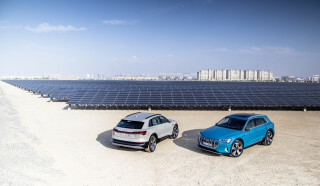 The diesel was likely put on hold by Kia due to the realities of launching one new powertrain technology at the same time the parent company is making a global push for a different one: EVs. There are 775 Kia dealerships in the U.S., and with its Stinger sport sedan and K900 luxury sedan pushing upscale, the brand is already expanding its vehicle lineup and customer base needing service and support at a rapid clip. Concurrently, its green-vehicle push needs to be aligned; any zero-tailpipe-emissions message could get muddled if the company is also peddling diesel. Hyundai, which shares its Korean parent company with Kia, may not be affected by this decision; it's potentially bringing that same diesel engine to the U.S., in the three-row version of the Santa Fe. A U.S. spokesman for Hyundai confirmed that the company will be releasing more information about it in 2019. 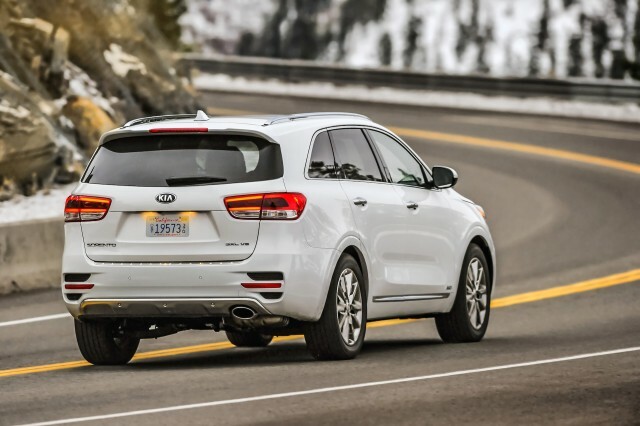 The Sorento diesel would have been powered by a 2.2-liter turbodiesel inline-4 that in Europe is rated 197 horsepower and 325 pound-feet of torque. Kia had expected its mileage—highway, we assume—reach 30 mpg in the rather tall, roomy family-size crossover. DON’T MISS: 2019 Hyundai Santa Fe diesel, hybrid, plug-in hybrid for US? For those who still do want to go with diesel, there are a few decent options. The Chevrolet Equinox and GMC Terrain both earn EPA ratings of up to 28 mpg city, 39 highway, 32 combined and the new Mazda CX-5 diesel earns 28/31/29 mpg in front-wheel-drive form. While there aren’t any other utility-vehicle choices left in the mass market in the wake of the diesel scandal, there remain a number of upmarket choices, including the Jaguar F-Pace, Jeep Grand Cherokee, Land Rover Discovery, Land Rover Range Rover, Range Rover Sport, and Range Rover Velar. Strong, efficient long-distance cruising and towing remain strengths for diesels in such a format, but with more long-range EVs like the Jaguar I-Pace on the way—plus a network of high-power charging stations funded by diesel malfeasance—diesel may be pushed into an even smaller niche. 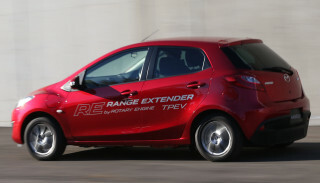 This piece was updated soon after its original publication to reflect comments from Hyundai.